A crown is an excellent long term treatment to strengthen weakened teeth. This could be due to the tooth or filling being weakened or cracked. Crowns are also an excellent way of improving the appearance of a tooth. We have a very high success rate, which enables you to keep the tooth for a long time. We have this success because we take great care in obtaining a perfect impression to make the crown ensuring the crown will be a good fit. Latest computer scanning technology allows us to match your crown shade to your exact requirements, your crown can blend in perfectly! We ensure that you are given the crown that is right for your individual situation. Return 2 weeks later to bond the crown in place. This usually requires 2 appointments, but occasionally more. 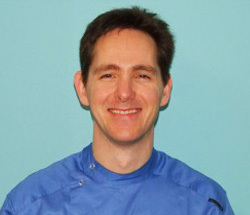 Dr Mark Setters BDS has over 20 years experience and has carried out more than 5,000 successful crown procedures in that time. There is no crown situation that we haven‘t seen! There are dozens of different types of crowns, so knowing which type of crown you should choose can feel a little overwhelming. Most people rely on the expertise of their dentist to make the right choices. At Dental Healthcare Practice we want you to have the perfect crown to blend in with your natural smile. We have over 20 years’ experience in making and fitting crowns for all types of situations. What type of crown we recommend for you will depend on a number of factors and preferences. You may want to emphasise strength, or perhaps natural appearance is your priority. Prices obviously vary depending on the type of crown you choose, so affordability may be something else you’ll need to consider. The four main types of crown are porcelain-based ceramic, porcelain fused to metal, gold alloys and base metal alloys. Durability is best in the gold and metal alloys, but ceramic crowns are usually the most popular for front teeth and because they blend more naturally with your tooth colour. The hybrid alternative of porcelain fused to metal offers good strength characteristics, as well as an important aesthetic covering on the front of the tooth. As you can see, there are several choices and the position of the tooth requiring a crown may determine the style of crown you choose. Most importantly, if you need a crown, don’t worry. We’ll explain all of the choices to you in an easy-to-understand way and give you the valuable advice you need to make the right choice according to your circumstances and your needs. We only use the highest quality technicians in the UK. This means that the materials used in the crowns are fully traceable with no risk of impurities which can cause health problems. We are not “tied” to a laboratory, which means we pick and choose the best technicians for the different crown types. If you would like a crown or bridge treatment plan, please contact us for a consultation.